January | 2017 | Sonic Smash-Music! 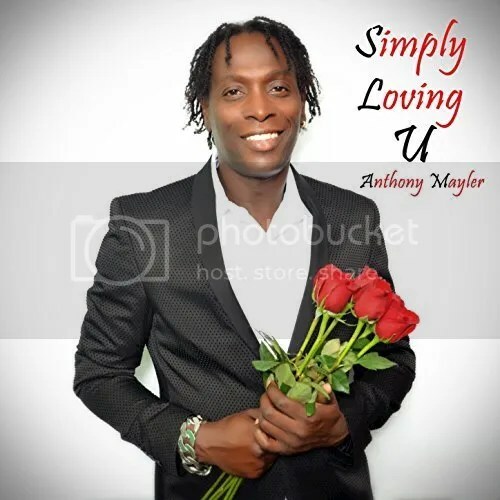 The singer and songwriter known as Anthony Mayler has released his latest EP album, “Simply Loving U,” and an official single, “True Love.” The EP contains five original tracks for an approximate total listening time of 20 minutes. Both have been proudly published on the Mind Music Production independent record label. Graced with smooth grooves and a cosmopolitan style built firmly on the roots music tradition, “Simply Loving U” and “True Love” prove Anthony Mayler to be one of the most intriguing names in roots for 2017. Jamaica’s Anthony Mayler has cited as main artistic influences Wayne “Sleng Teng” Smith, Ed Robinson, Randy Crawford, Marcia Griffiths, Cynthia Schloss, Pam Hall, Denise Williams, Skeeter Davis, and Johnny Gill. His own sound is a mix of old-school reggae with rhythm-n-blues mellowness crafted in the spirit of soul. Fans of reggae, rhythm-and-blues and traditional roots music will find much to appreciate in Mayler’s smooth, affirming vocals and minimalist instrumentation. Guitar and bass recall those of the Wailers, while the brass employed is reminiscent of Toots and the Maytals. It’s easy to tell from the cover art that these new Anthony Mayler releases have romantic themes, but their heartwarming sound will appeal to anyone. Mayler has performed with a broad variety of popular artists, such as Gyptian, Ed Robinson, Courtney Melody, Michael Palmer, Tristan Palmer, Jah Mason, Chronicle, UU Maddo to name a few. His recent live shows include international appearances such as Tanya Mulling’s Walk of Fame in Canada, the Tony Cobb Show in the USA, and the Prospect Park Community Show in the USA. The “Simply Loving U” EP and “True Love” single from Mind Music Production records are available online worldwide from over 700 quality digital music retailers beginning 28 January 2016. The guitarist, singer and songwriter of gospel music known as Charlie Bereal has released his latest official single, “You Are God.” The track has been proudly published on the Bereal Entertainment and Productions independent record label without the direction or inclusion of the corporate music industry. 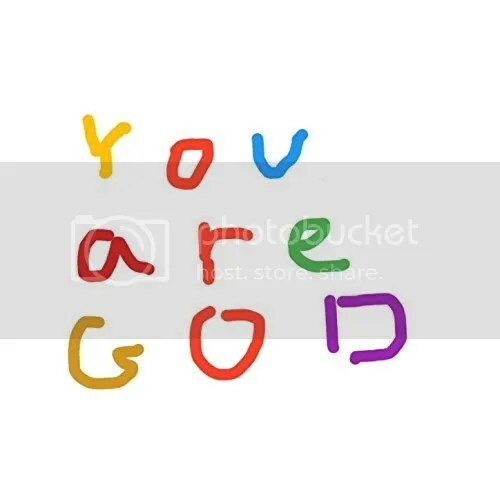 Boasting rhythm and blues elements with notes of contemporary soul thrown in for good measure, “You Are God” by Charlie Bereal is a modern pop classic of gospel music for music fans everywhere. Bereal is a session guitarist in demand who has played on recordings such as “More than a Woman” (Aaliyah), “One Minute Man” (Missy Elliott), “Call Me I’ll Be Around” (Cee-Lo), “Love is Like Whoa” (Mya) and “Do What It Do” (Jamie Foxx), and others. He has performed live with acts like Jay Z, Ja Rule, P Diddy, Nelly, Busta Rhymes, Kanye West, Jamie Foxx, Ashanti, Brandy, Mario, Tweet, Missy Elliott, Toni Braxton, Mary Mary, and many more. Charlie Bereal’s television appearances include the Tonight Show, Mad TV, Jimmy Kimmel, Ellen DeGeneres, BET’s “Pepsi Smash,” the ESPY Awards, the Soul Train Music Awards, the Lady Of Soul Awards, the Grammy Awards, et cetera. Charlie Bereal is a platinum-selling producer, musician, and singer/songwriter. He has been playing guitar since the age of nine. He performs in many genres, such as hip hop, R&B, soul, neo-soul, alternative, gospel, pop, urban adult contemporary, and rock. Bereal is sponsored by the Fender guitar company. He wrote and produced Tweet’s 2016 album, which Rolling Stone pegged at #12 for the top records of the year. He has written and produced for Whitney Houston, Jamie Fox, Mary Mary, Chris Brown, Kelly Roland, and Mya. His debut solo record, currently untitled, is expected to drop before long. “You Are God” by Charlie Bereal is available online worldwide from over 700 quality digital music retailers now. The bassist and producer of experimental music known as B.E.N has released his latest LP record, “Be Easy Now.” The album contains six original instrumental tracks for an approximate listening time nearing one hour. It has been proudly published on the Crooked Pants Publishing independent music label without the involvement of the corporate music industry. Soothing, beautiful, and remarkable in its ability to carry the listener on bass lines alone, “Be Easy” is a mellow, mindful treatment of ambient music for 2017 and beyond. Experimental music mastermind B.E.N has cited as main artistic influences Claude Debussy, Brian Eno, Radiohead, Bill Frisell, and Explosions in the Sky. While this distinguished roster colors him as a listener of much scope and perspective, the nods to Debussy and Eno have most in common with his “Be Easy Now” LP is concerned. Expansive, expressive and lush like the surface of an ocean, “Be Easy Now” is pleasant to hear in nearly every imaginable circumstance. More than just ambient music, though, “Be Easy Now” is actually a work of meditation. Read from top to bottom, the track listings form a peaceful mantra not unlike those invoked by practitioners of yoga and Buddhism. They are, “Breathe In,” “Deep End,” “Be,” “Easy,” “Now,” and “Breathe Out.” Full-sounding yet minimalist in its composition, every sound on the LP was emitted from a bass guitar. 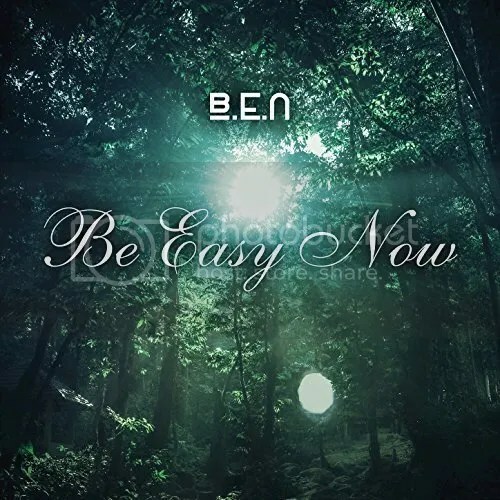 “Be Easy Now” by B.E.N is available online worldwide beginning 28 January 2017. Get in early, ambient music fans. 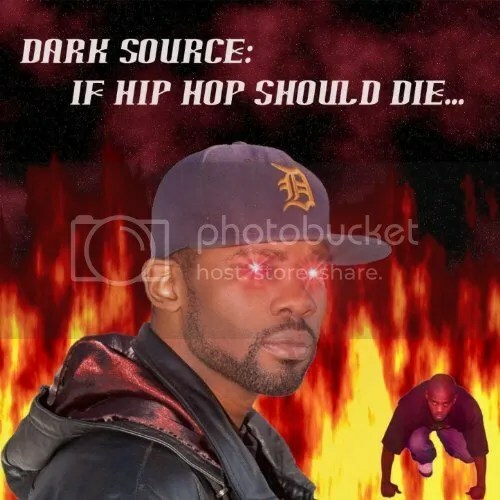 The hip hop artist known internationally as Dark Source has released his monumental full-length record, “If Hip Hop Should Die…” The album includes 15 original tracks for an approximate total listening time of one hour. It has been proudly published as an independent release without the direction or financial support of the corporate music industry. Mixing elements of old-school with sharp production and contemporary beats and melody lines, “If Hip Hop Should Die…” is an LP proving Dark Source to be one of the year’s most intriguing artists. He has been performing live since 2003 and has been a member of the Gwapp City Gangstas in Grand Rapids, MI. He has recorded two albums and seven mixtapes available in more than 150 nations worldwide. “If Hip Hop Should Die…” by Dark Source is available online worldwide from more than 700 quality digital music retailers now. The hip hop artist known as Yeshua Alexander (AKA “yA”) has released his latest official single, “Dream” feat. Ne-Yo. The track has been proudly published on the yA Music Group LLC independent record label without the involvement of the corporate music industry. Packed with boom bap and featuring top-shelf urban poetry from yA as well as white-hot vocals by Ne-Yo, “Dream” is a single which will turn the heads of hip hop fans in every underground scene. This open-mindedness is present in “Dream” and results in a multifaceted, highly textured track with plenty of color and evocation. Alexander’s creative process isn’t new to him, and in fact didn’t necessarily begin with him. A man with music in his blood, he credits his dad with showing him the spark. But it’s not just about family, he insists. Originally from Lincoln County, GA, Yeshua Alexander’s most prominent album is “Evolution,” dropped in September of 2015. The LP features nearly an hour’s worth of music in 15 original tracks. It has received radio circulation and plentiful accolades online, and continues to rack up fans going into 2017. He is rumored to have recorded eight albums and 50 solo singles ready to be released over the coming months. Yeshua Alexander’s single, “Wait,” was created with Lil Uzi Vert, who was featured on the #1 Billboard single, “Bad and Boujee.” Another yA album, one inspired by his daughter, Nya, is titled “Concrete Rose” and due for release on 17 July 2017, Nya’s birthday. Two more records, a pop album called “Coexist” and another hip-hop record, “Madness,” will drop on 3 March 2017. “Dream” by Yeshua Alexander is available online worldwide from over 700 quality digital music retailers soon. 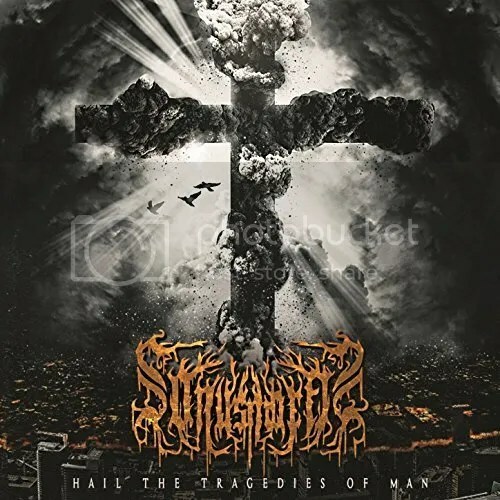 The symphonic death metal project known as Sonus Mortis has released a new full-length album, “Hail the Tragedies of Man.” It contains 11 original tracks for a total of one hour of explosive listening. The record has been proudly published as an independent release without the direction or support of the corporate music industry. Building, burning and cresting like a sonic tsunami of fire, “Hail the Tragedies of Man” by Sonus Mortis is easily one of the most evocative and arresting examples of symphonic death metal ever recorded. The sole creative genius behind Sonus Mortis and “Hail the Tragedies of Man” is veteran multi-instrumentalist Kevin Byrne. Dublin, Ireland’s Byrne cites as main artistic influences Septicflesh, Behemoth, Dimmu Borgir, Paradise Lost, Rotting Christ and My Dying Bride. He has described Sonus Mortis’ music as symphonic death metal with elements of black metal and doom metal. “Hail the Tragedies of Man’ is the third full-length record from Sonus Mortis, which officially began in 2013. Although chiefly a studio project, Sonus Mortis has amassed a loyal following of over 10,000 online fans and counting. With the obvious power of “Hail the Tragedies…,” there seems little doubt that this number will grow exponentially. Bleak though it may be, the sound is a visceral experience, swirling like smoke and rushing like wind, almost palpable as it comes at the listener. Audiophiles are challenged to hear any track from “Hail the Tragedies of Man” by Sonus Mortis and remain unaffected. It will seize you. “Hail the Tragedies of Man” by Sonus Mortis is available online worldwide at over 700 quality digital music retailers now. Get in early, metal fans. Very early. The singer and songwriter of gospel and contemporary Christian music known as Rahn Anthoni has released his latest EP album, “I’ll Trust You.” The record contains three original songs for an approximate total listening time of fifteen minutes. It has been proudly published on the Rahn Anthoni Music independent record label without the direction or support of the corporate music industry. Devotional, inspirational, and filled with the spirit of the Christian God, “I’ll Trust You” is evidence that Rahn Anthoni is a gospel voice to watch in 2017. The Atlanta, Georgia area’s Rahn Anthoni cites as main artistic influences Howard Hewitt, Michael Jackon, Whitney Houston, Luther Vandross, and Fantasia. His own sound is a mix of hip hop and R ‘n’ B with roots reaching into the gospel tradition. The title single of “I’ll Trust You” was written by Fred “Uncle Freddie” Jerkins, brother of Darkchild Records’ Rodney Jerkins, while Anthoni penned the rest of the record himself. Rahn Anthoni has had a long and varied music career which began with his family gospel group, the Family Voices. Since that time he has released a popular single, “Hold On,” with Tate Music Group, and become the host of his own talk show, “The Rahn Anthoni Show” after appearing on “Starpower” for the BET Network. The program reaches over a million viewers on EOTM TV. Singer Anthoni made national headlines in 2012 when his son, Aaron Hatcher was allegedly killed through the abuse of his teachers at school. The calamity triggered a heart attack in Anthoni, himself, who survived after emergency open-heart surgery. Since that time, Rahn Anthoni has been an outspoken advocate for students with special needs. The Aaron Hatcher Award is given out annually at the Special Needs Rock Awards founded by Rahn Anthoni after the death of his special needs son, Aaron Hatcher, in Atlanta, GA.
Like the rest of his repertoire, “I’ll Trust You” is spiritual music through and through, with a foundation in Christian principles and values. 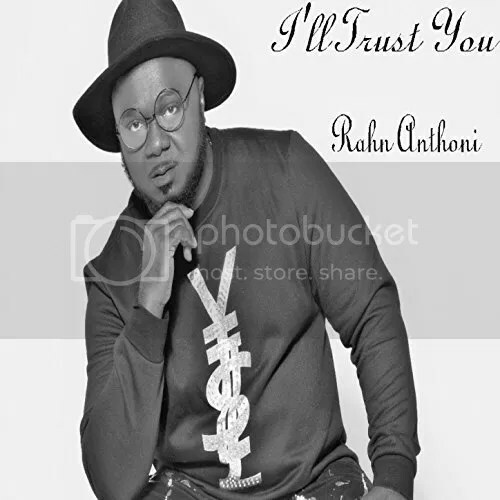 “I’ll Trust You” by Rahn Anthoni is available online worldwide from over 700 quality digital music retailers now.